Right now I’m reading a book called Loki by Joanne Harris. It’s very good and I’m enjoying it a lot. Here’s a recipe for a quick and easy dinner of pork Milanese, zucchini fries and parmesan orzo. 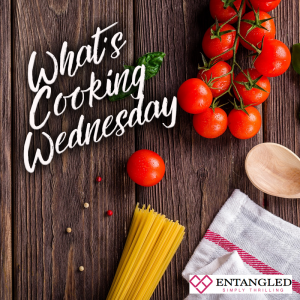 Combine the breadcrumbs, cheese and seasoning in a shallow dish. Lightly beat the eggs in another large shallow bowl. Sprinkle the pork generously with salt and pepper. Dip the pork, 1 piece at a time, in the egg, allowing the excess to drip off, then dredge the pork in the crumb mixture, patting to coat completely. Place the pork on a small baking sheet. Cook orzo according to directions on package in a generously salted water. Drain and add in the butter and parmesan cheese stirring until melted. 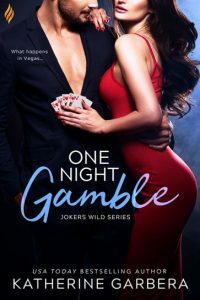 Check out One Night Gamble by Katherine Garbera, out now!